This bell has: 14" bell and is 30" overall length, single tone in a textured semi-gloss Green. 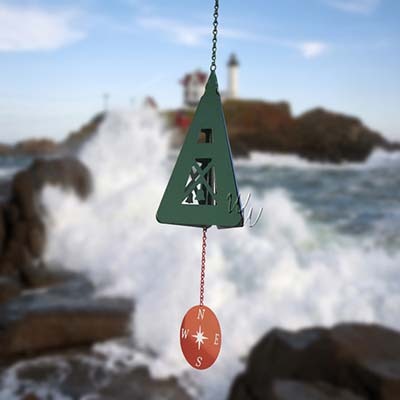 Our North Country bell features a Red Compass windcatcher. Perfect for any occasion, this bell will navigate you safely to or form your home port.